Providing a photo backdrop for promotional photo shoots or marketing campaigns. We’re the first to admit that as a printer we don’t offer cheap roller banners. We could, but the drop in quality of product wouldn’t be something we would stand over and so our promise to you is that our roller banners are of the highest quality and the best value possible with this considered. Today we’re delighted to present our roller banner range to you, with a brief description of each and what situations might be best for their use. Our most common roller banner of which we have sold tens of thousands over the past 10 years. To this day we still use the same trusted roller banner supplier in SE Asia who have supplied us roller banners through a local distribution company here in the UK. This ability to track the mechanisms back to the original production source allows us to ensure the quality of the mechanism and parts are second to none. I met with one of our very first clients, Grainne Maher of Pluck & Devour in Belfast a few weeks back at an event and in telling her about our current offer, she was able to tell me that her own roller banners bought in 2009 are still in use today. Amazing! 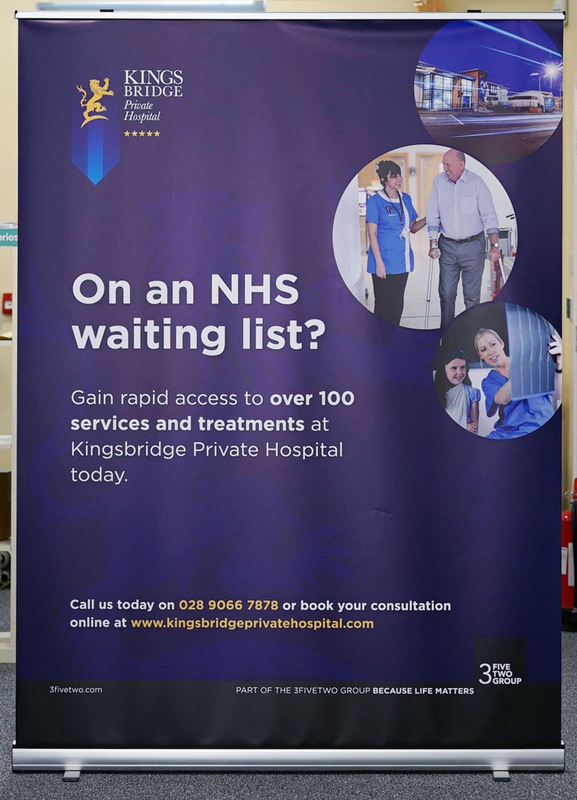 While for many the use of roller banners is more as a replaceable cost effective marketing, like Grainne we use our roller banners for a considerable period of time and through careful use, they should indeed last as long as required. At 850mm wide our premium roller banners are perfect for almost every situation. Their very small footprint allows them to be placed in the smallest of locations. However their height commands a huge area and ensures your branding is seen from afar. Until the end of February we have our very well received Half Price Roller Banner offer available here online at kaizenprint.co.uk. To order your roller banner visit our product page and select from the options available. 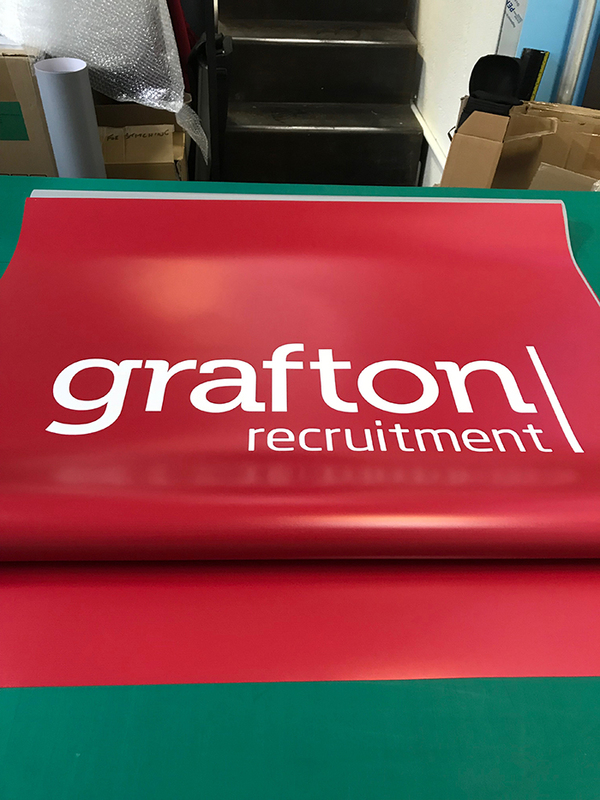 Our 1500m wide roll up banner is a brand new product for 2019. To be honest we’ve always shied away from this product as the finishing of them was quite cumbersome in our previous premises on the Lisburn Road, Belfast. With our new dedicated wide format production hub in the new HQ, we’ve ample space to manoeuvre the product safely and create the perfect 1500mm wide roll up banner. Like it’s smaller width counterpart, the height of our 1500mm wide roll up banners is also 2000mm. If you’re familiar with roller banners, the mechanism will be pretty similar where the retractable graphic system lifts from the base and sits on top of the bungee pole. All of which are supplied in a padded carrier case for easy protection in storage or when being used. This entry was posted in Marketing Your Business and tagged Roller Banners.